A talk by David Warden. In 1940 Bertrand Russell was condemned by an American court as ‘morally unfit to teach philosophy’. He was subsequently awarded the Order of Merit by George VI and the Nobel Prize for Literature. 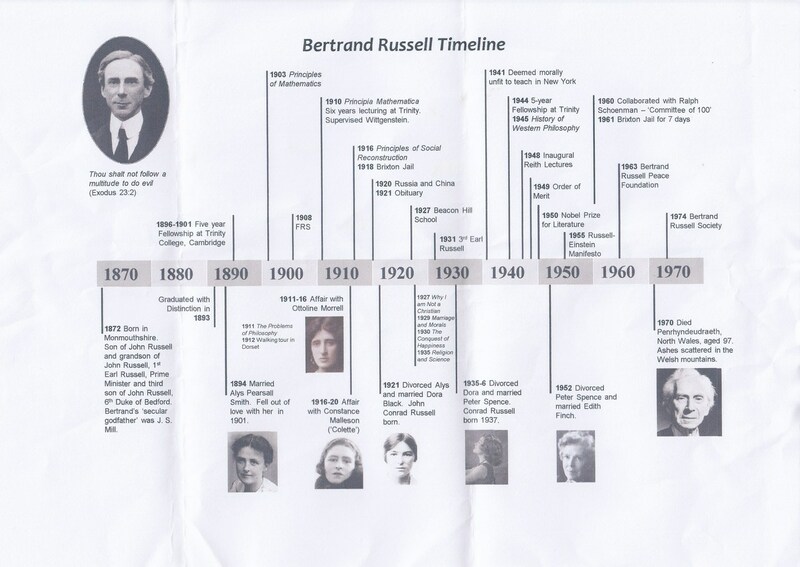 Russell was one of the greatest philosophers and rationalists of the twentieth century. The grandson of a Prime Minister, he did pioneering work in mathematics and logic as well as campaigning for women’s suffrage and against nuclear war. He was twice imprisoned for his activities and married four times. David will explore this great life. 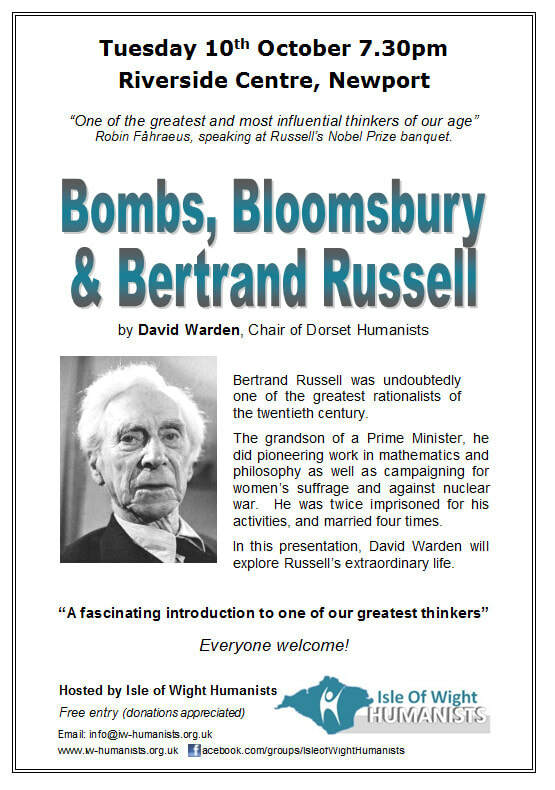 ​David Warden is chair of Dorset Humanists and an Honorary Member of the British Humanist Association.